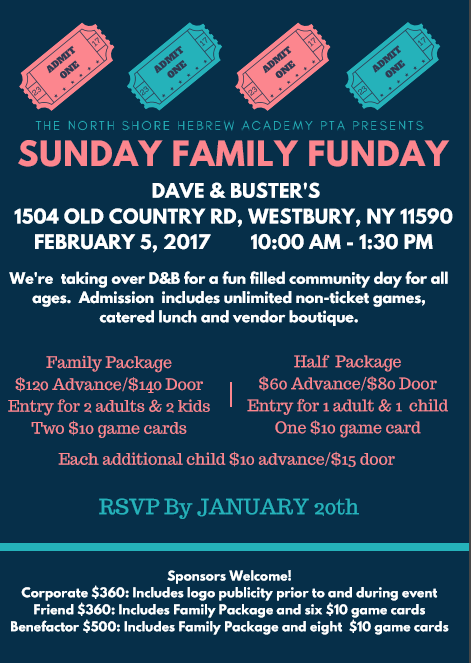 We can’t wait to see you at our PTA Sunday Funday! Online registration and advance pricing is closed but you can still purchase packages at the door. See you at D&B!